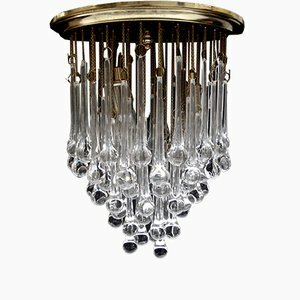 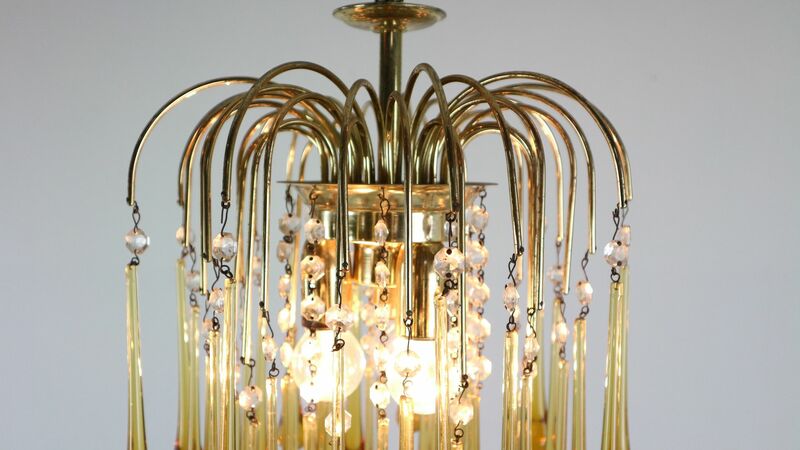 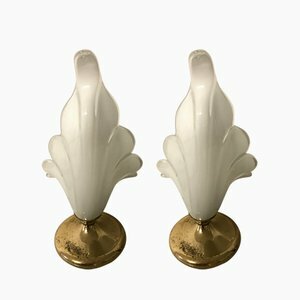 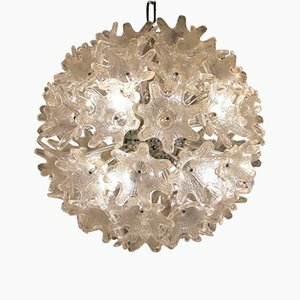 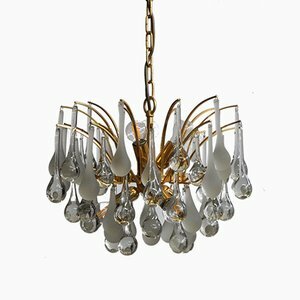 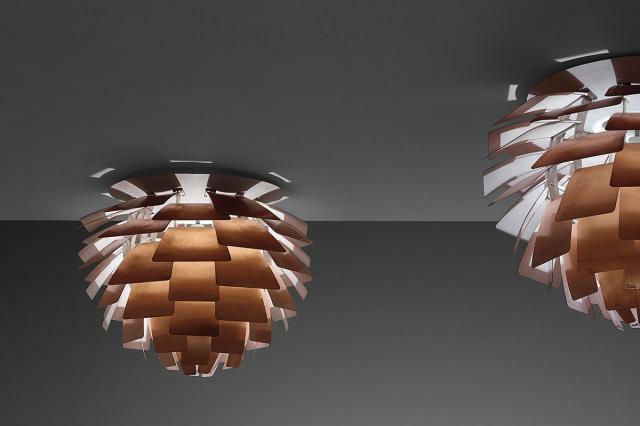 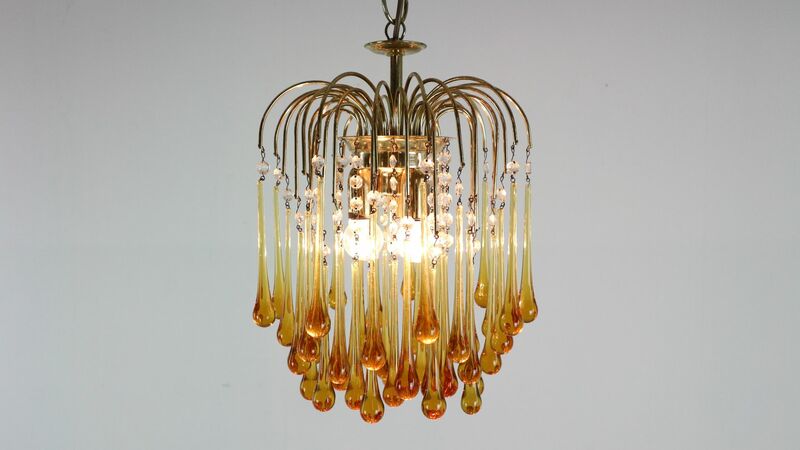 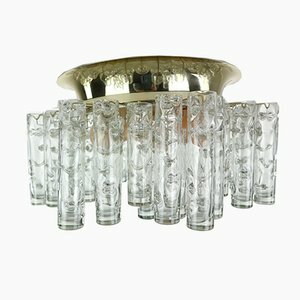 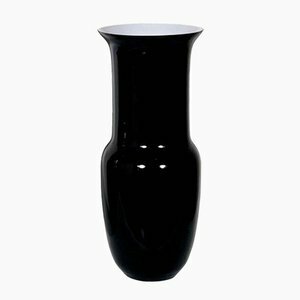 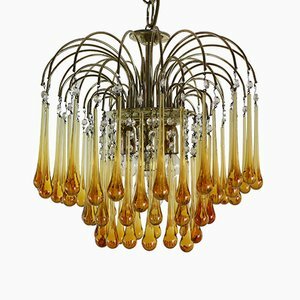 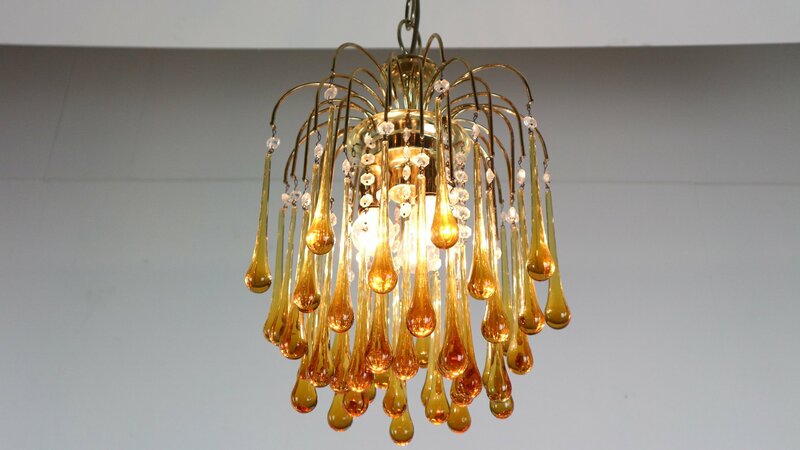 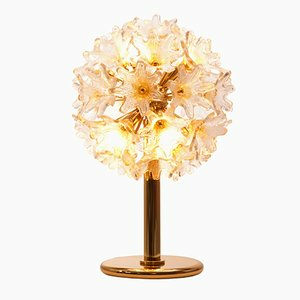 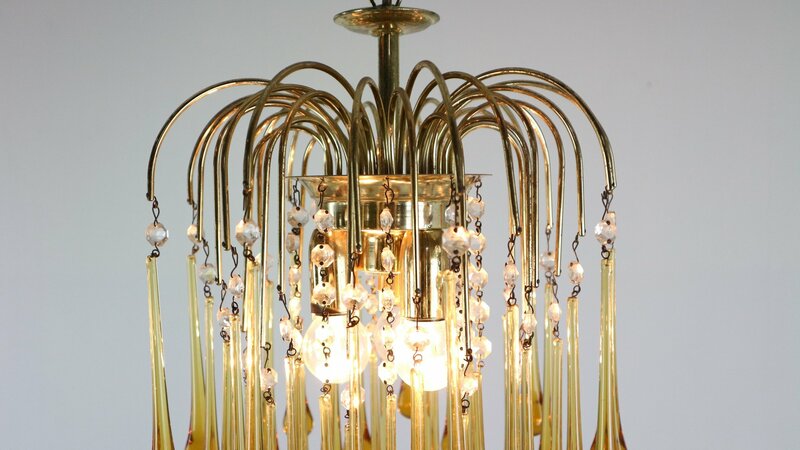 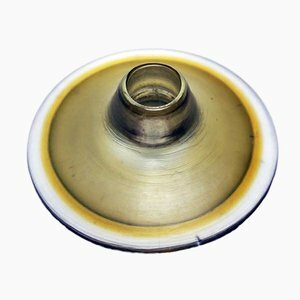 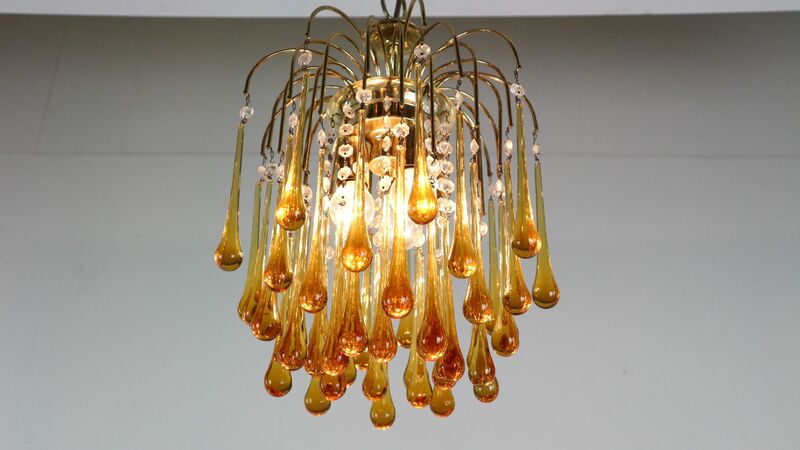 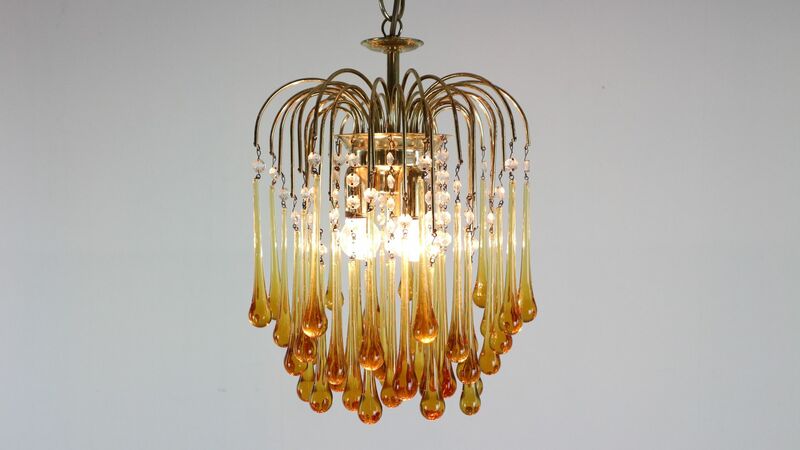 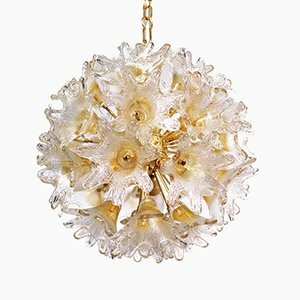 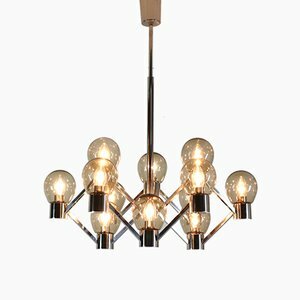 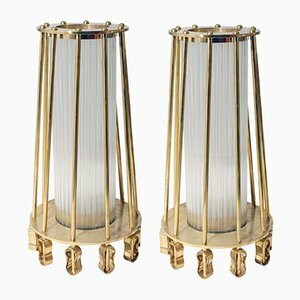 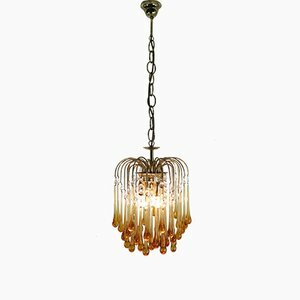 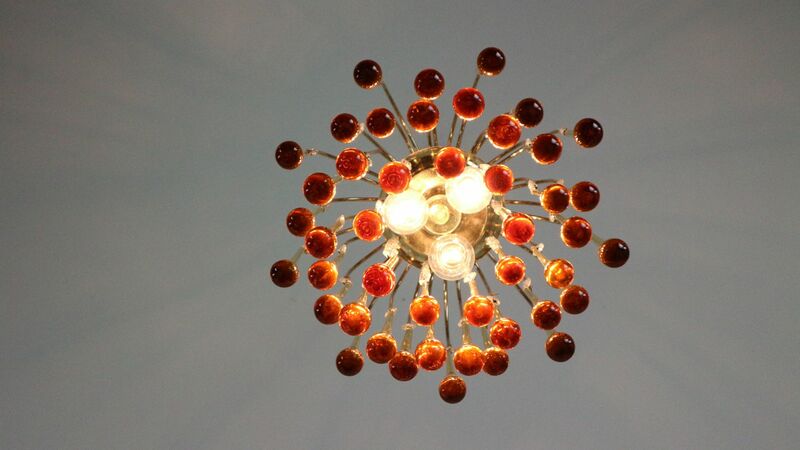 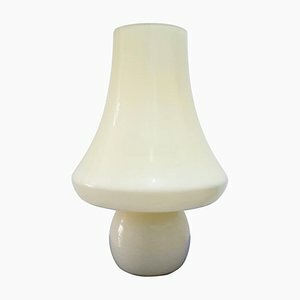 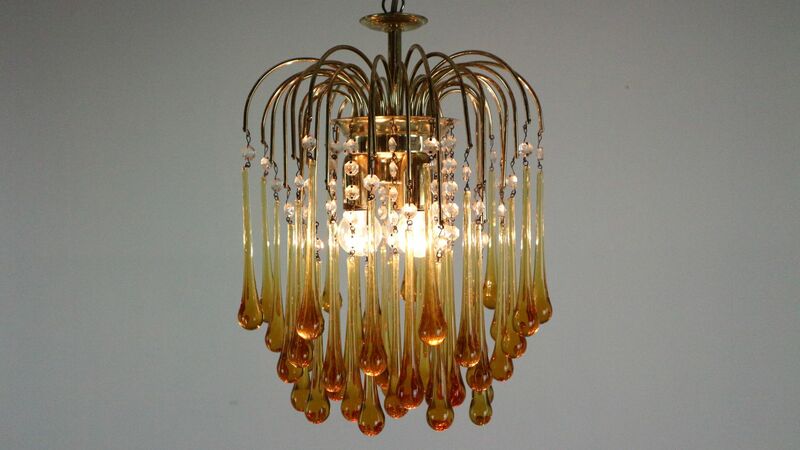 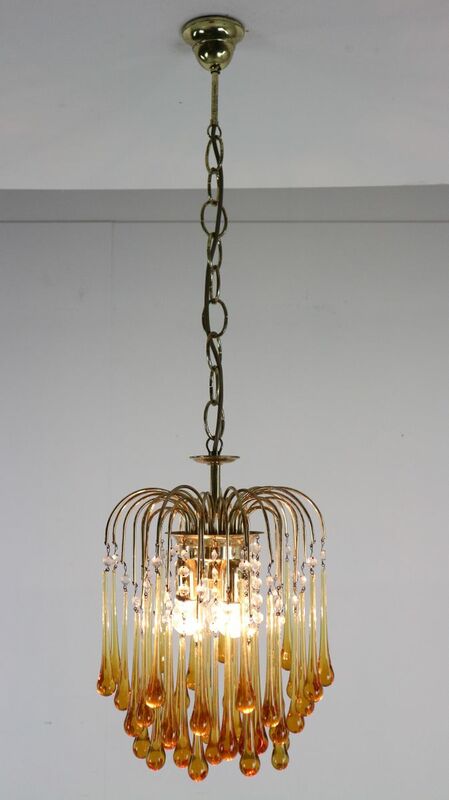 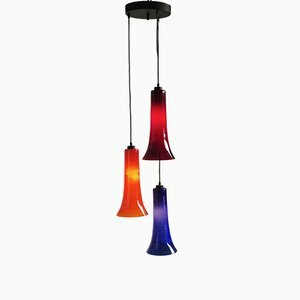 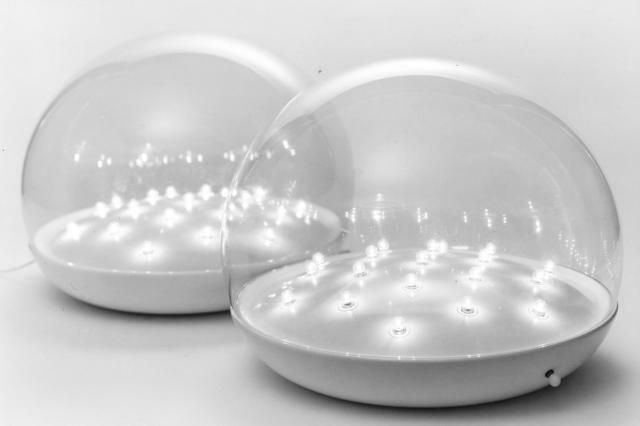 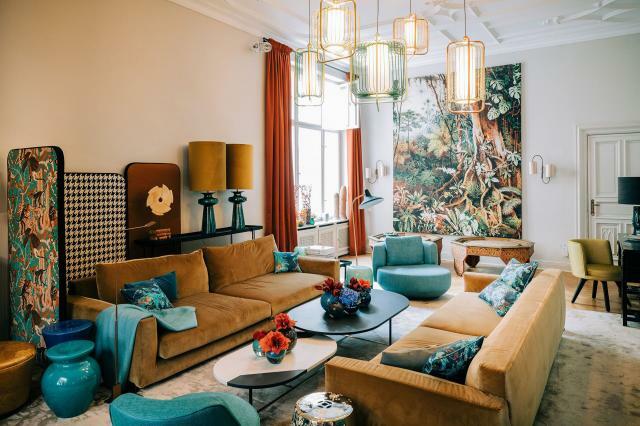 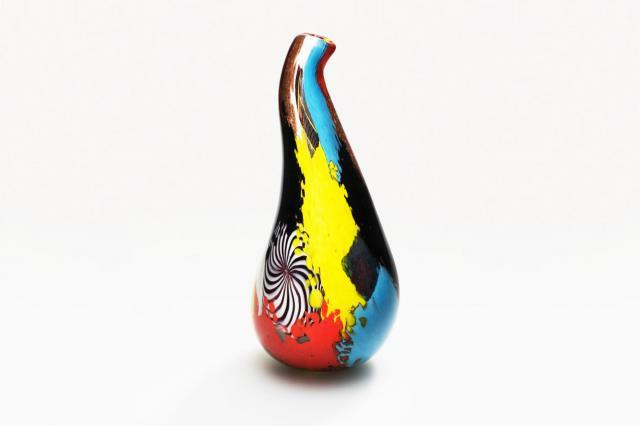 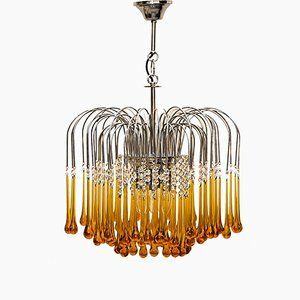 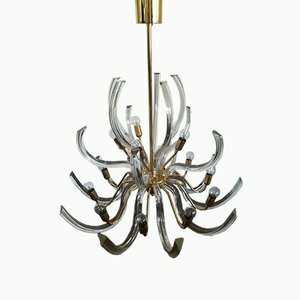 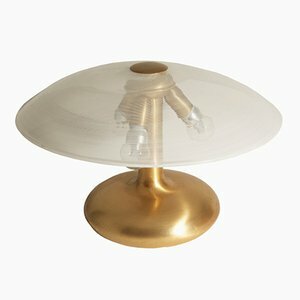 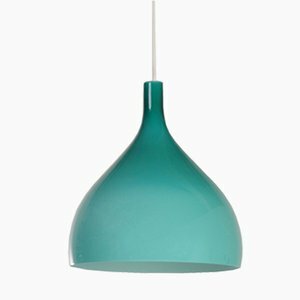 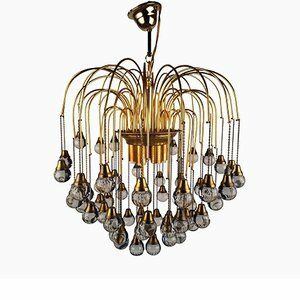 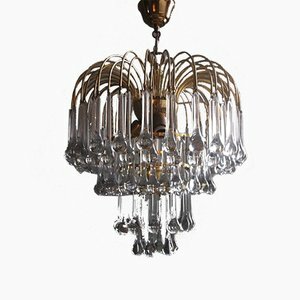 This is a vintage Murano glass chandelier designed by Paolo Venini in the 1960s. 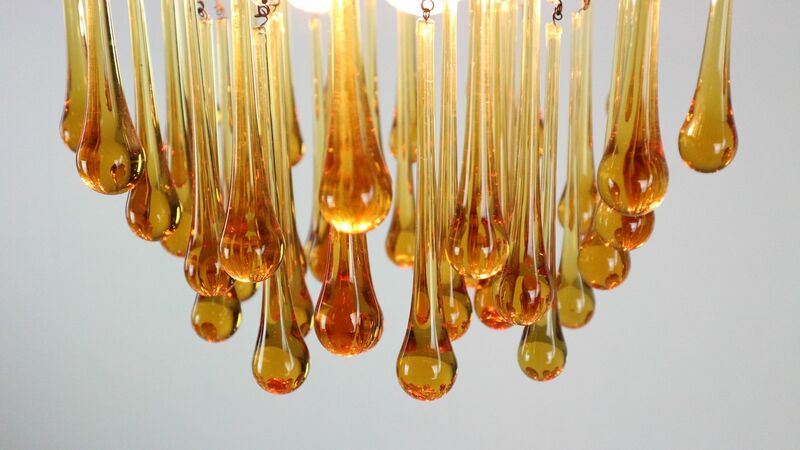 There are 44 amber glass teardrops with clear glass pearls. 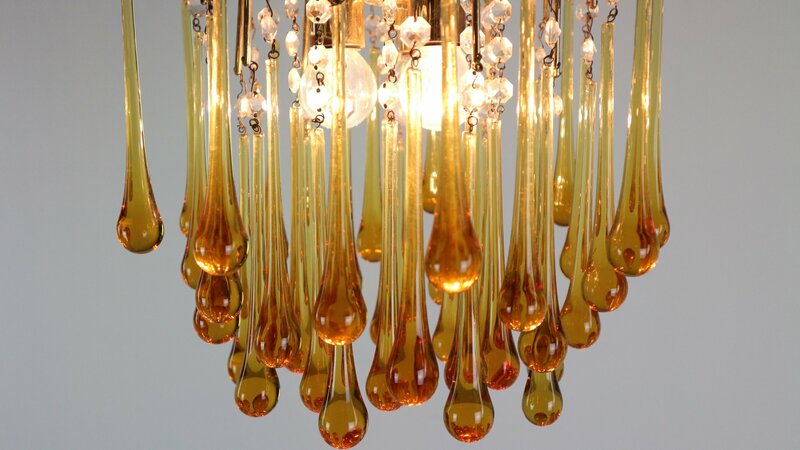 The glass cascades to reveal a fountain of light.